There are some people in this world, that when you speak to them, or hear them speak your mind just implodes with all the incredible insights they have. This week’s episode we take a journey back to the conversation I had with Dr. Steve Maraboli. 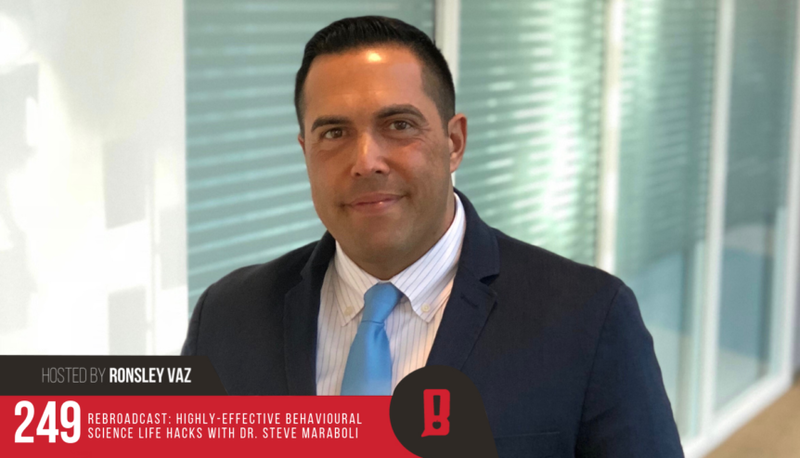 For those who don’t know Dr. Maraboli (and there are very few that don’t), he is a highly sought-after consultant, Steve has spent over 20 years as a student and ardent researcher of behavioural science. Steve and his team of PNA (The Maraboli Method) coaches work with their clients worldwide. Steve is a recipient of the prestigious United Nations Award for Philanthropy, having contributed to and created empowerment, education and humanitarian programs in over 40 countries.